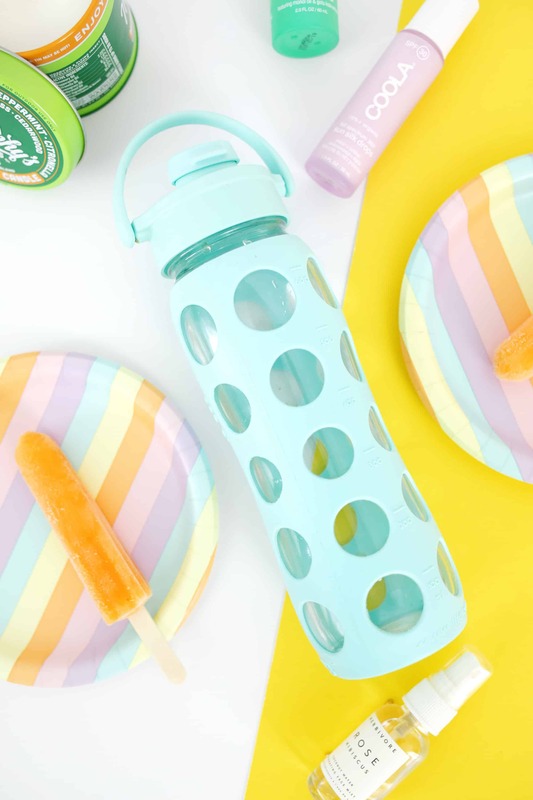 Ice cream cones, afternoons at the pool, popsicles, running through sprinklers—summer is now in full swing! 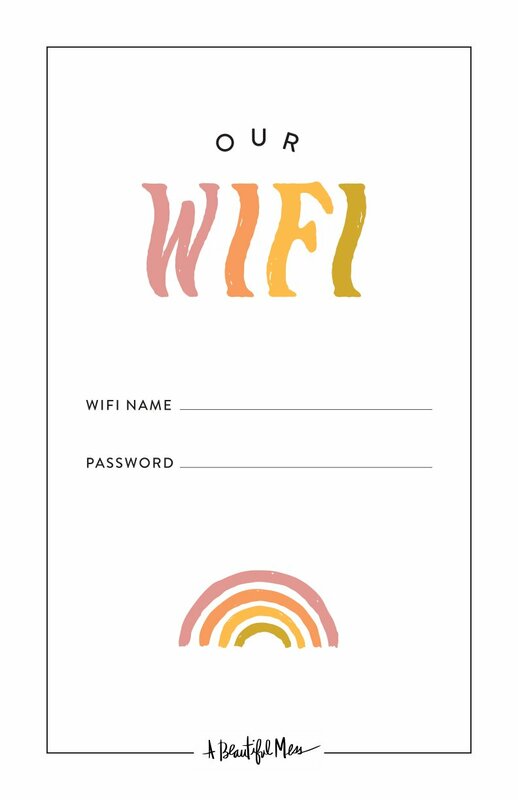 While we’ve still got a lot to do on our summer bucket list, I also want to make sure we are living our best life in the most natural way as possible. So here are some items that we love to keep your golden season happy and healthy! 1. 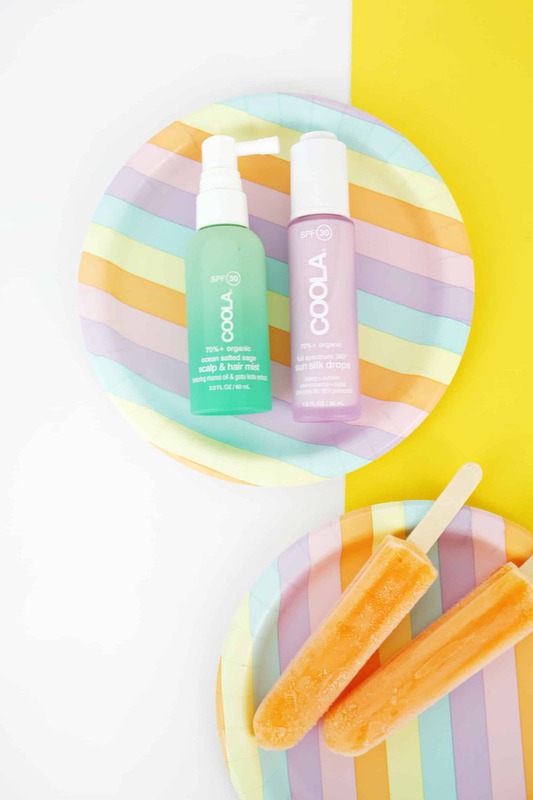 Sunscreen: Whether you are at the beach or hanging out at a backyard BBQ, it’s so important to find a clean sunscreen that will protect your skin without nasty sulfates and parabens added in. We love this primer to use under your makeup because who wants to put sunscreen over a full face of finished makeup, amiright?? 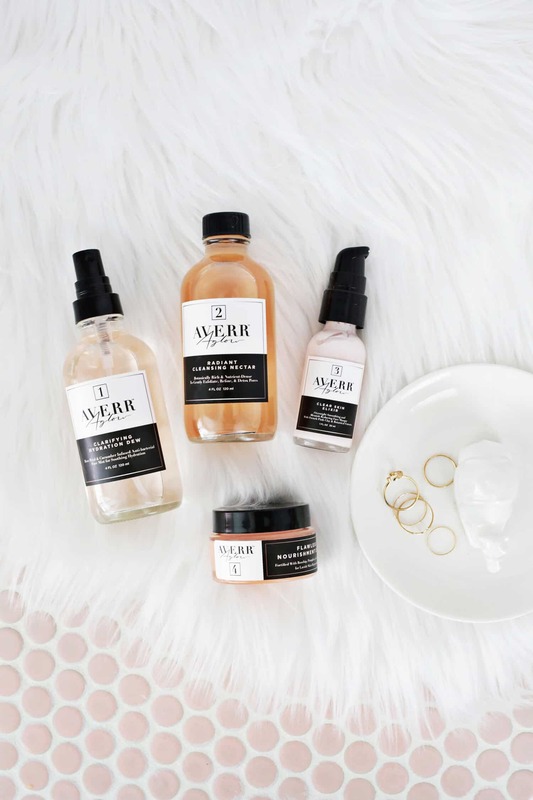 If you are going without makeup that day, Elsie recommends these silk drops to protect your face (read more about her recommendations here) since they also protect you from the blue light that is emitted from screens (so it’s great if you are going to be in front of a computer all day). Don’t forget to love and protect your hair as well from the sun’s rays and this is perfect for the job. Give the rest of your body some coverage with this and you’ll be ready for the day! And if you forget your sunscreen (or don’t reapply in time) you can use this or this spray to soothe and help heal any sunburn. 2. 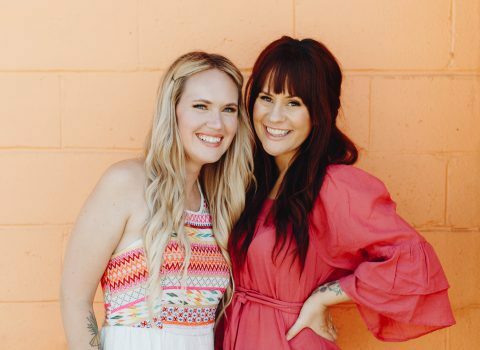 Bronzer: Since we want to spend time in the sun without damaging our skin, sunscreen is super important—but then how do you get that healthy summer glow naturally? Bronzer! Whether you like a pressed powder, loose, a cream version, or a highlight stick, we’ve compiled all our favorite natural bronzers for you from budget-friendly to splurge level. And if you are new to the bronzer game, we’ll show you how to apply bronzer like a pro and that sunkissed glow will be yours in no time! 3. Bug repellent: Summer bugs can really put a damper on outdoor activities, but a lot of bug sprays contain DEET or other harmful substances to counteract the bugs (and then that all sinks into your skin as well—ew). 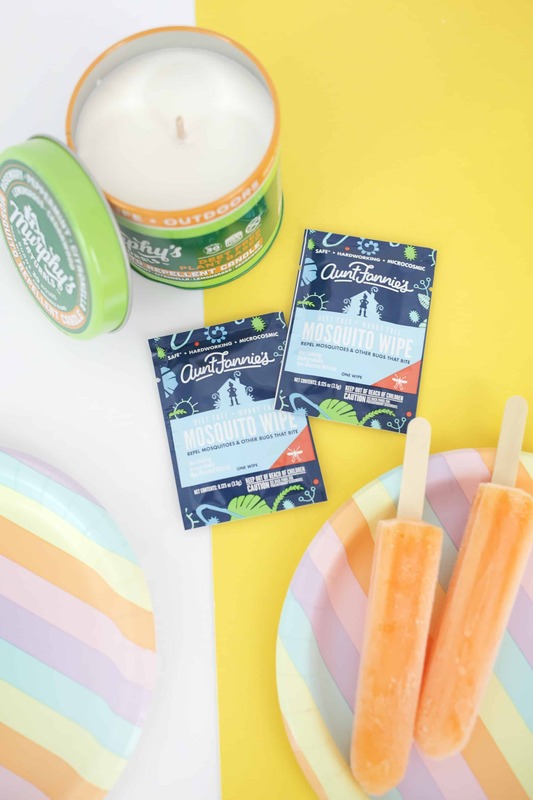 We love these amazing smelling wipes that you can throw in your bag to protect against bugs and these are great to have around the perimeter of your patio to keep bugs out of your space (this candle is perfect for your patio table as well). If you’ve already been bitten, find some relief naturally with essential oil-based remedies like this after-bite stick or this balm (FYI, we don’t recommend items with peppermint oil for kids under 6 and eucalyptus oil for kids under 10). 4. 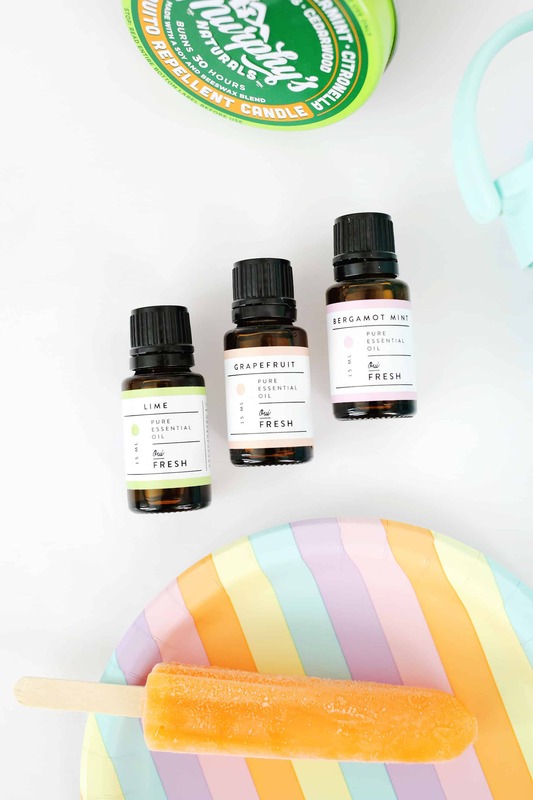 Summer essential oil blend: You want your house to feel and look like summer, but chances are you also want it to smell like summer. Instead of using candles or room fresheners with artificial chemicals as the main scent, try diffusing essential oils in a diffuser instead (we love this ceramic one too) for a natural aromatherapy experience that has health benefits as well. Try one drop of lime oil, two drops of grapefruit oil, and one drop of bergamot mint for a fresh scent to get into the spirit of summer. 5. Natural deodorant: Summer is, well, HOT! Don’t forget to arm yourself against stinky sweat without aluminum or parabens with our natural deodorant DIY (using essential oils for the scent!). If you don’t feel like making your own, you can also grab one of these to keep you smelling fresh (this one even has prebiotics in it to help feed the good bacteria that fights off the bad guys). 6. Moisturizer: All that heat and outdoor time can dry out your skin so make sure to replenish your moisture with an all-natural body butter (we have DIYs for a whipped cocoa butter and a lavender vanilla version) or a hydrating body oil. Make sure you also have a moisturizing shaving cream on hand since we usually shave more often in the summer (I know I do) and you can always add instant moisture with this anytime your face starts to feel dry. 7. 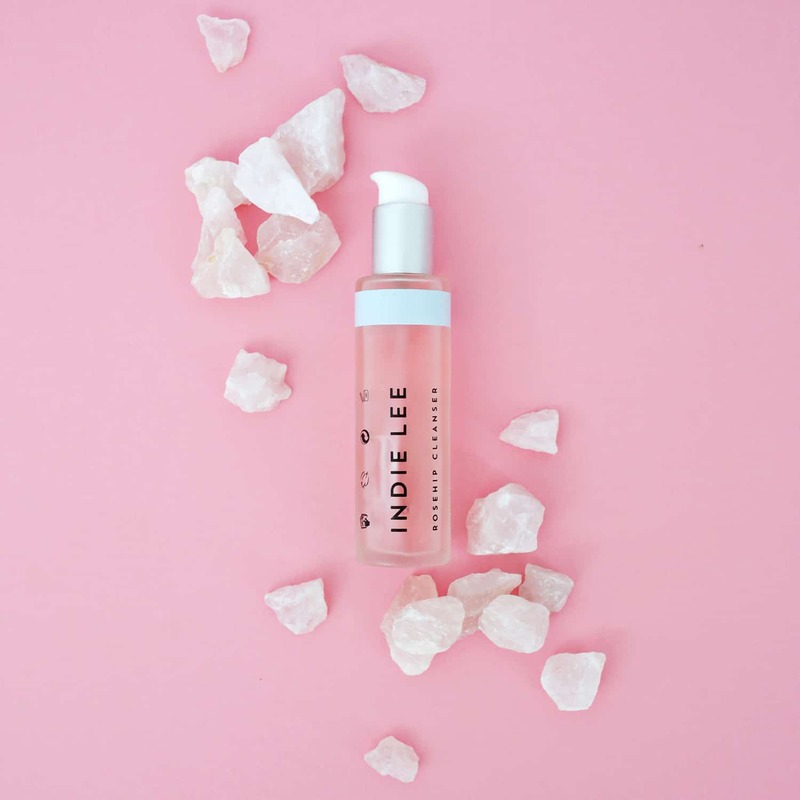 Sea salt hairspray: We love this natural DIY pink salt spray to get a good beach-wave going whether we are at the beach or not that day (this is also a great option if you don’t have time for a DIY). 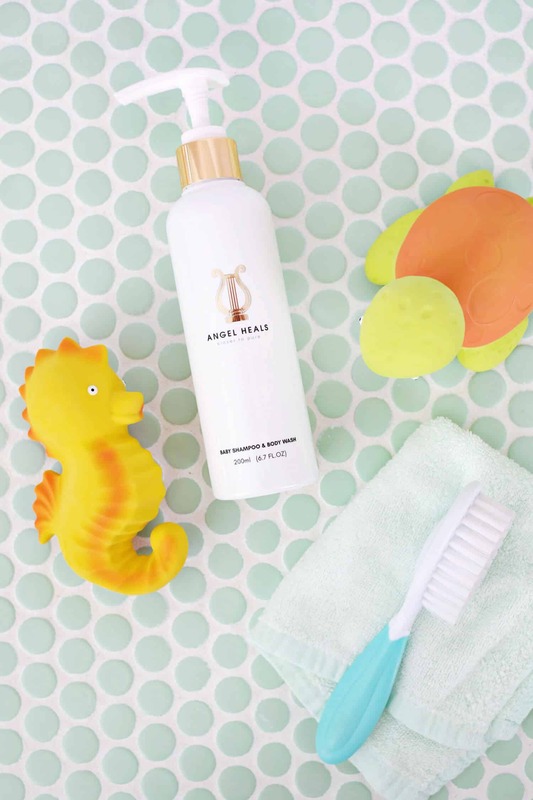 If your hair needs a little more help than just using a spray, you can try our mermaid waves hair tutorial to get those tousled tresses and finish with a natural hairspray. 8. Eco-friendly and non-toxic flip flops: Those plastic/rubber flip flops that you love so much can also contain phthalates and BPA that is being drawn into your body through your feet. Switch them out instead for these summer essentials which are fair trade and made of a more sustainable natural rubber (here are some more colorful options as well) and there are some companies like this one that will recycle the natural rubber for you once your sandals are worn out—yay! 9. Recycled material sunnies: If you are like me, you love having a few different pairs of sunglasses around. One way to make the eco footprint of your sunglasses habit smaller is to buy sunnies made from recyclable material. Companies like this make their sunglasses with 97% recycled acetate or there are also options that use upcycled wood or sustainable bamboo as their main material. How cool is that? 10. 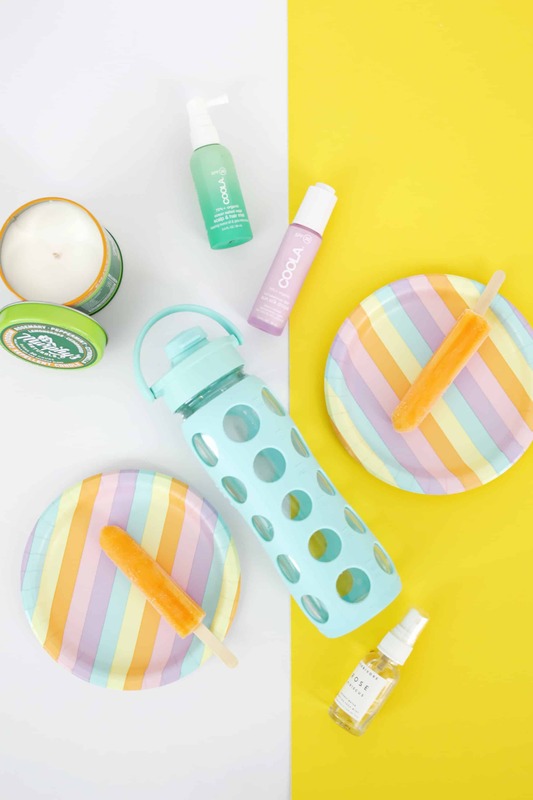 Non-toxic water bottle: Since the summer heat can lead you to dehydrate from the inside out as you sweat more (which can also lead to dry skin), you want to make sure you are properly stocking up on your H2O intake. While plastic water bottles can leach BPA, phthalates, and other chemicals, using a protected glass bottle or a stainless steel water bottle will keep water flowing into your system while keeping toxins out. Don’t forget to keep a set of these in your car or purse as well as home to keep plastic straws to a minimum as well. Hi ABM! I would LOVE if you all could do a post on pet safe diffusing. We have a new dog in our family as well as two little kids, so candles are out. We are missing scents in our home but I’m nervous to start diffusing after reading various conflicting sources. Love the idea of essential oils in a diffuser. Thanks for the tip! I love my lifefactory water bottles! great suggestion!